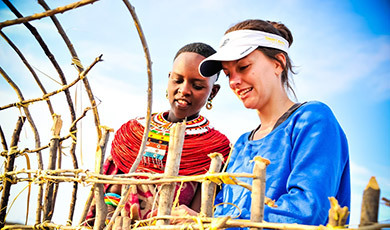 Have a taste of the Amani experience through our photo and video galleries! 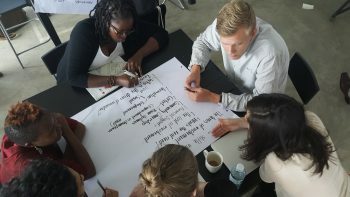 Field trips and apprenticeships allow our Fellows to learn more about the many opportunities in the social change sector and just what it takes to make change happen. Talk is cheap, action speaks volumes. We believe that learning happens where the work is! 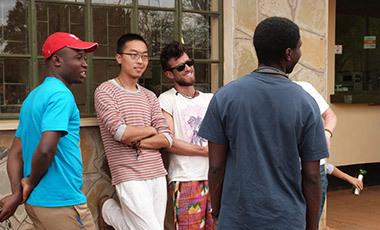 At Amani Institute people from all over the world come together to learn, in a variety of different settings, how to become more effective changemakers. We are proud of the diversity represented in our team, Fellows, instructors and guest speakers! The Amani faculty has included a Nobel Peace laureate, experts in leadership development from McKinsey & Company, an award-winning producer, a leading foundation director, and many others. In intensive workshops these experts walk our Fellows through a hands-on learning experience to help them build skills that are highly valued by employers. How do adults learn best? This question is at the heart of our learning methodology. Experiential learning, role models and case studies, and group problem solving are part of all of our workshops. Why did we start the Amani Institute? 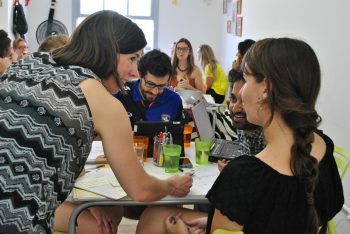 Accelerate your social change career! The Hatchery: Increasing innovation capacity across the East African creative sector.